The title and the article indicate parents should never tell their daughter she is beautiful. 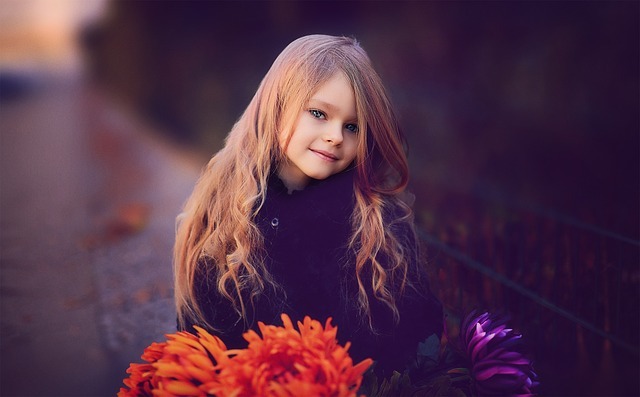 As a psychologist, parents need to tell their daughter she is beautiful. The daughter beams and is proud and it develops confidence in her esteem. Girls that have confidence show it in business and the way they present themselves and develop their own style and flair. Today, for a daughter to recognize she has many more options then just her looks is important. She can succeed in business in any field, marry and have children if she so desires. Psychologically, the healthiest women are those that have a purpose; work, charity, artistic talent combined with looking good, eating right and realizing they can pursue their dreams and be feminine at that same time. Today, in the marketplace there are equal numbers of men and women in pre-dominantly male fields; such as women CEO’s, CFO’s, Physicians, and Lawyers to name a few. Therefore, both, confidence in your abilities and in your looks are psychologically critical to success. It is better to praise children for their abilities rather than their looks? Why or why not? It is better to praise children for their abilities rather than their looks. As parents, they need to guide their children to accomplish tasks and find their unique talent and abilities. This means introducing children to a variety of activities; challenges at school, providing an environment where they are exposed to different sports, art, and music. The goal is to find one or more talents that they are successful at and gets them excited and challenged. I do believe all children need to realize you win and you lose. This is real life! Children know who are the best students, the best musician and the best at a sport. Someone always wins and you learn and grow from winning and from losing. It gives the child the ability to find their talent and know when they win it is great. Yet, if she loses, she will learn to deal with failure. Winning and losing prepare a child for the real life situations. As parents, our motivation is to make sure our children find their abilities to succeed in the workplace as productive adults. Now, let’s talk about looks. There is nothing wrong to praise a daughter for her looks. It is important for parents to take their daughter shopping and help them pick out clothes and jewelry and make-up. Dads who take their daughter out shopping provide the confidence with a male figure on shopping and what to wear. Mothers need to take their daughters shopping and spend time with them prior to their first date or dance to help them with their make-up and talk about boys and dating. Does telling children one thing or the other have a lasting impression on their confidence? Yes, abilities gain confidence in their talents and they strife to please their parents by succeeding. Most parents want their children to succeed in school because it gives them more choices in life and decision in what they pursue. Parents need to make sure their children eat healthy, control their food intake by providing healthy eating habits as a child because those become the habits they will perform as an adult. Today, overweight and obesity is a major concern. How children eat and weigh is determined by their food choices by their parents and the exercise or lack of it. In addition, overweight and obesity can cause health problems and result in lack of esteem, and inability to pursue interests. How impressionable are children when it comes to hearing praise about their looks vs. their abilities? Children are always impressionable when hearing praise about their looks and praise about their abilities. Both are important! Praise about your abilities may help you overcome insecurities about your looks. As a result, over time as you become an adult you may remember yourself as the unattractive geek. Yet, now you are successful and have the confidence in your abilities and thus your looks! As daughters, if you have looks and no abilities you could end up a “top model” based on the look of the season. Actresses have a talent and many also looks. It seems actresses are the ones getting the modeling contracts in magazines. Psychologically, balance of having both “abilities and looks” result in an emphasis to success! Next It’s a Boy! What Challenges will Prince William & Kate Middleton’s Royal Baby Face Under the Microscope of the Public Eye?